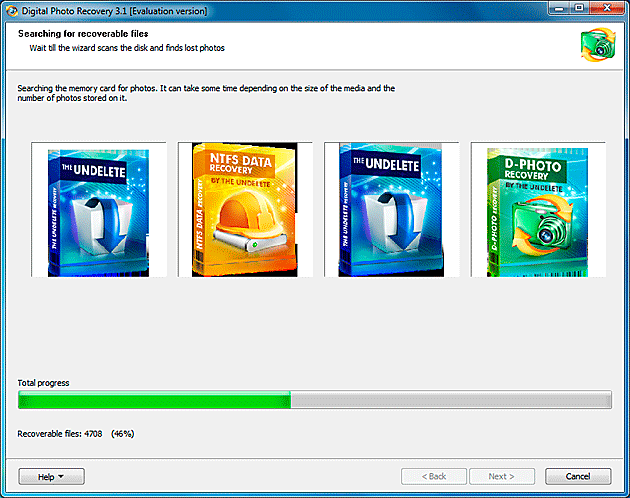 Downloading and Installing Digital Photo Recovery. Why even write this section? It's a computer program after all, how can it be different from any other computer programs? Don't skip this chapter just yet, or you might lose your digital pictures forever! It is essential that you download and install D-Photo Recovery onto a different drive from that contains the lost or deleted digital pictures you are about to recover. Don't have a secondary hard drive? A different partition (drive letter) is about to serve just as well. No extra partitions in your system? Try a memory card, a floppy disk, or a USB flash! 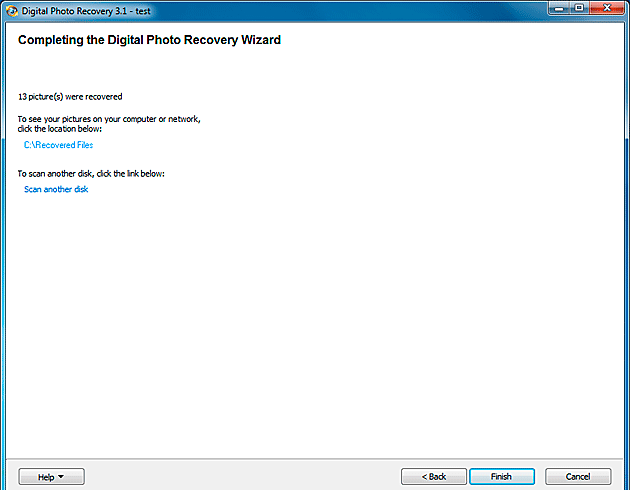 Just make sure not to install D-Photo Recovery on the same memory card you're about to recover. 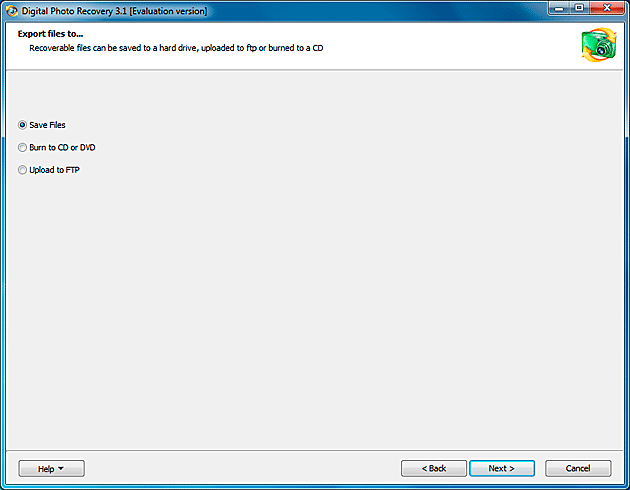 Downloading and Installing - It's simple: just click on the Download link and run digital_photo_recovery.exe. No big deal here. Just launch it as you would start any other application. Now you can see all storage media available on your computer. This can be hard disk drives, USB drives, as well as cameras that you have connected to the PC prior to launching the program. Press Next. 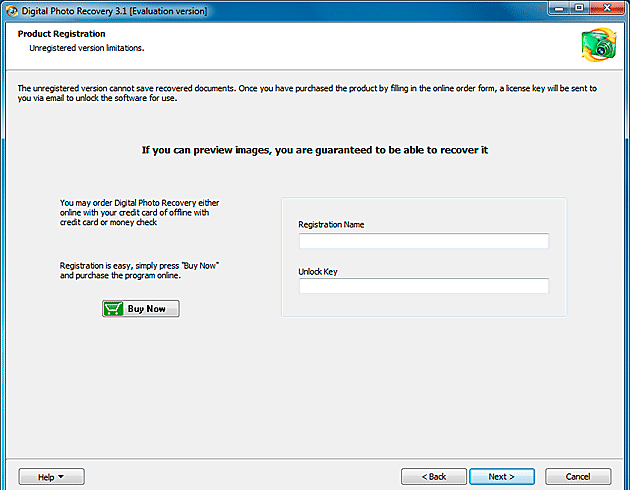 Digital Photo Recovery will scan the drive to find all recoverable images. After the scanning process is complete, you'll see all recoverable pictures displayed in a new window. All photos are displayed as thumbnails. For each one you can invoke a full-size preview. 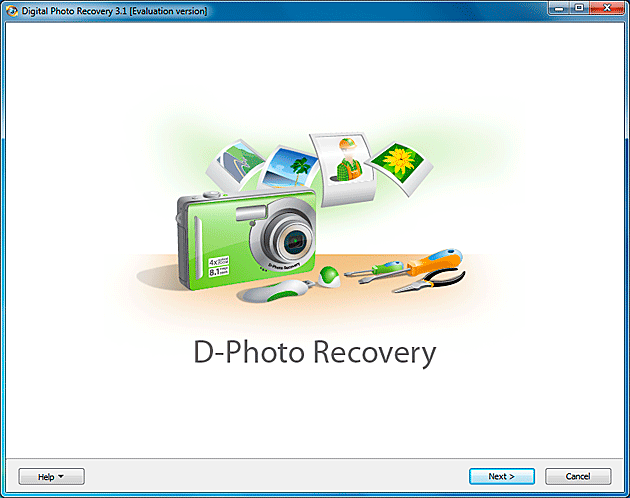 As is standard for our recovery program, what you see is what you get: if you can see a preview of an image, D-Photo Recovery can recover it guaranteed. 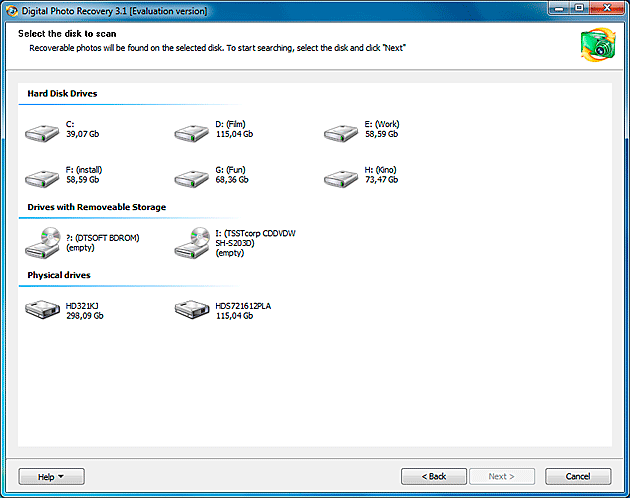 Select files to recover and go Next. Select location to save the pictures and go Next. 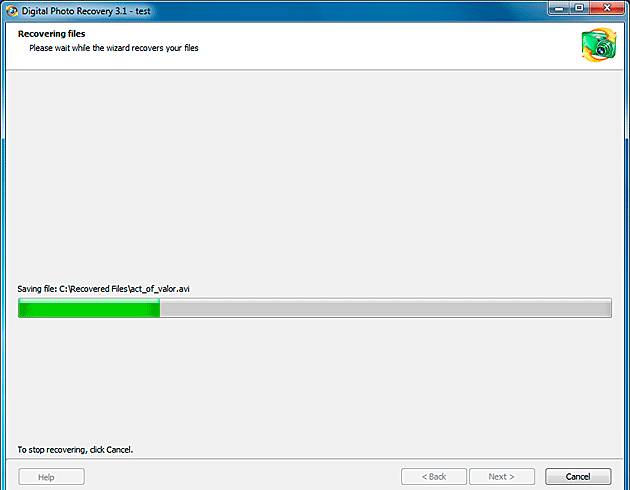 You'll see a progress bar showing the real-time recovery proñess. See that blue link? Click it, and you'll get an Explorer window that contains all the saved pics. That's it! 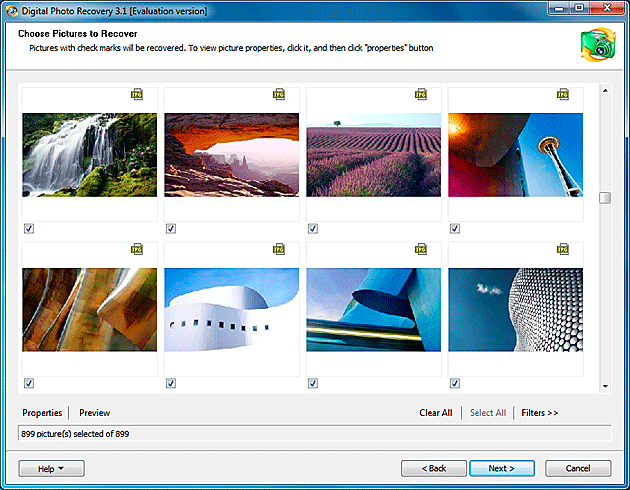 Your digital pictures have been successfully restored and saved safely onto your hard disk.